It is not the strongest nor the most intelligent that survives… it is the one that is the most adaptable to change (Charles Darwin, c1839). After a training event, or any change initiative, are you finding it hard to align behaviors with learning objectives to achieve desired behavior outcomes? Researchers have contended that training events alone are inadequate to attain enduring change to reach desired outcomes. It is the combination of change initiatives and change management processes that lead to desired outcomes. Still, no matter the change management model employed, it should produce agile, productive employees and strategic, enduring change. This webinar is ideal for OD practitioners and HRD professionals who want to learn, share and discuss how to apply effective change management models; teach leaders and their organizations to embrace change and; implement a culture of change for adaptability to increase organizational longevity. Jodi LaMothe is an entrepreneur, consultant, adjunct professor, and business psychology expert with over 10 years of experience in organization development. Her corporate consulting experience has involved working with various organizations such as the U. S. Department of the Air Force – Pentagon, State of Utah, Jefferson County, Alabama Human Resources Department and Chase Bank. She has dual Master of Science degrees in general psychology and industrial-organizational psychology. She is a member of Mensa International and is educated in “Unlocking The Immunity To Change” from Harvard University. She holds Six Sigma Lean Professional and Change Management Specialist certifications from the Management and Strategy Institute. She is the author of the Hybrid Home to Office Behavior Inventory (H2OBI). 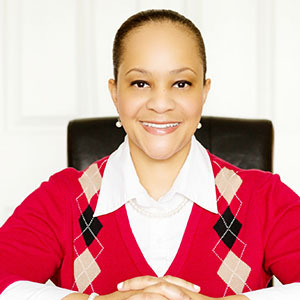 Her personal mission is to provide consulting, research, training and development services to organizations of all sizes to increase the quality and level of human capital productivity.